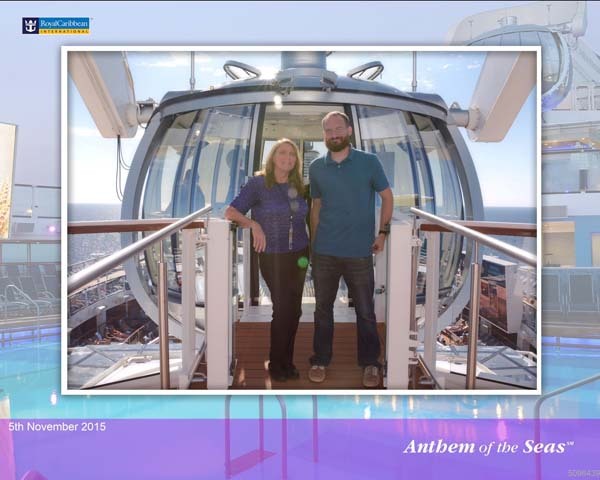 I spent two short days on Royal Caribbean’s Anthem of the Seas and shot a short video- my first attempt at hosting a video. This Quantum Class ship really appealed to me. The decor of the ship was elegant and soothing. 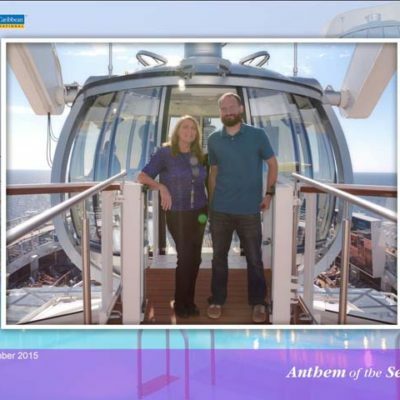 Unlike some of the other Royal Caribbean ships, Anthem of the Seas did not make me feel like I was at the mall. Technology is used throughout. RFID cards or bracelet work for doors and ship charges. The new VOOM satellite internet by O3b is as fast as DSL on land. It’s about time the at-sea satellite providers upped their game. 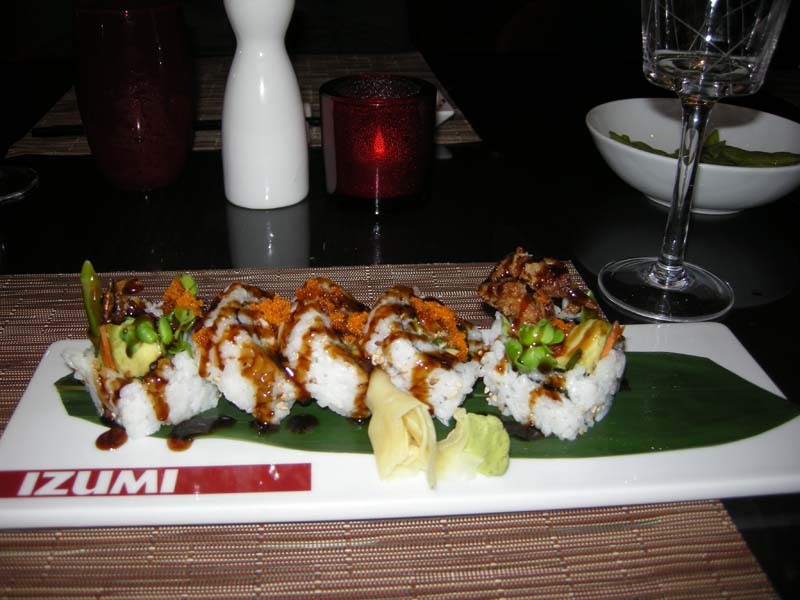 Rather than one large Main Dining Room (MDR), four different, more intimate venues allow guests to rotate, keeping their same servers throughout. 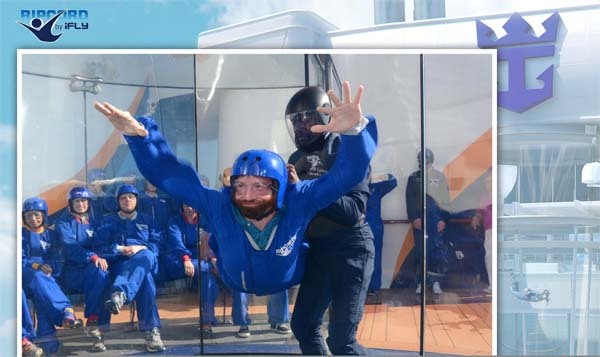 Sky diving at sea was exciting with my one minute flight on Ripcord by iFly. 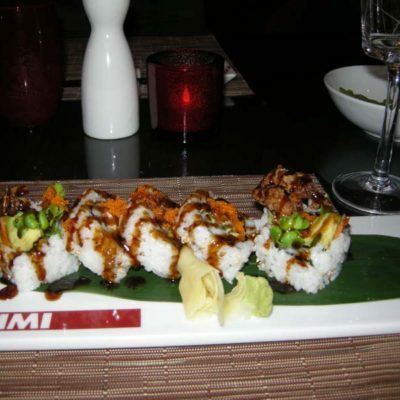 There is a large choice of specialty dining options for those looking to try something different or have a special night out. The Bionic Bar entertained with its robot bartenders. Northstar takes guests 300 feet above sea level giving spectacular views of the sea, the ship and surrounding areas. Great photo ops. Gigi the giraffe is something that I haven’t figured out yet. Maybe if I could feed her, I would feel differently. Take a look at the video for a short tour of the ship. I highly recommend this ship and hope to sail her again soon. Well, thank-you so much. Glad that you enjoyed it. It was fun making the video. Very helpful review for anyone planning to take this cruise. Great job. Seems like a wonderful time. Would love to do this cruise some day. Robot Bartender?!?? I must see that! Cruises are an experience. Sounds like you had a good time. 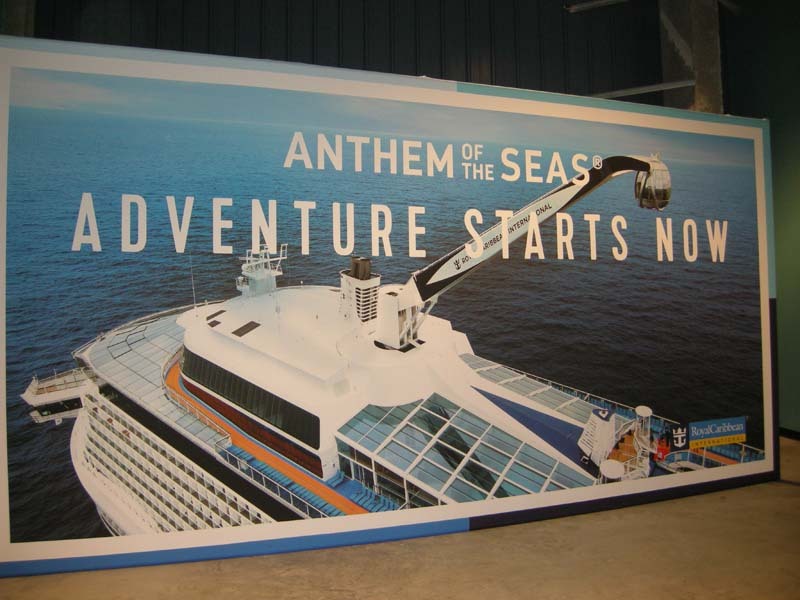 Anthem of the Seas sounds great. I love cruising and wondered if this ship would feel, as you say, like a mall. Glad to hear about your experience. There is much to do on Anthem and always somewhere to go to avoid the “mall”.